Licensed From – Sony BMG Music Entertainment (UK) Ltd.
12 - Warner Chappell Music Ltd / BMG Music Publ. Ltd.
© 2007 Cherry Pop: a division of Cherry Red Records Ltd. Licensed from Sony/BMG Entertainment (UK) Ltd. Jewel Case with 16 page booklet. Its a nice release. I wish they would have made it a double disc for my room for the 2nd disc. there's a 3rd b-side they didn't add. It was Give it to me. The other B-sides are nice. The Stranger was remixed for the album back in the 80's & for there new record company. The original was released on a 7'' Vinyl. So you actually get its b-side version & not its single version. They also could have added the Dub Versions of Misty Circles & I'd Do Anything Plus the New Dance Mix of What I Want & maybe the instrumental Version of Misty Circles. 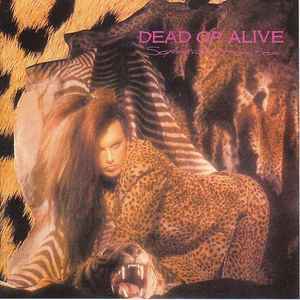 love doa, this is irrestible.all the singles again but back with amazing remixes. i can't beleive i'm getting 'misty circles'. a song i've liked since the dvd . another two early songs included are 'the stranger' and selfish side'.